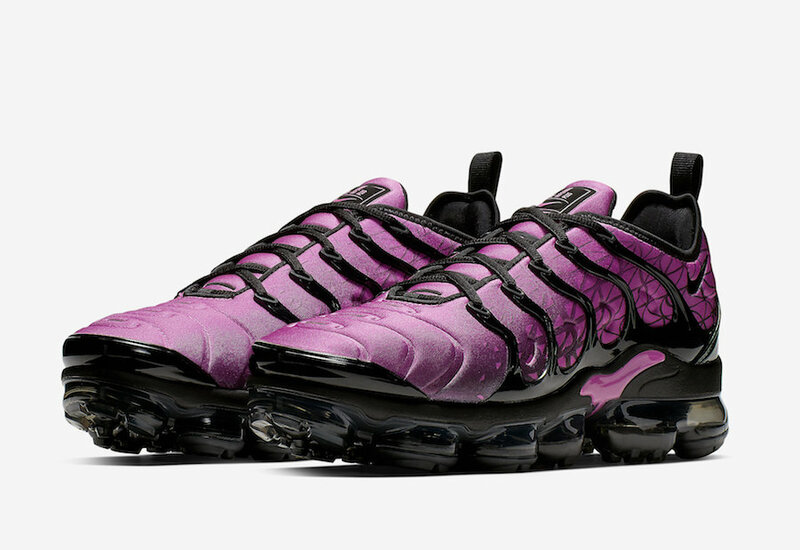 This month, the fans of the modern Nike Air VaporMax Plus are going to enjoy an eye-catching ” Active Fuchsia” that is perfect for the upcoming warm months as well. 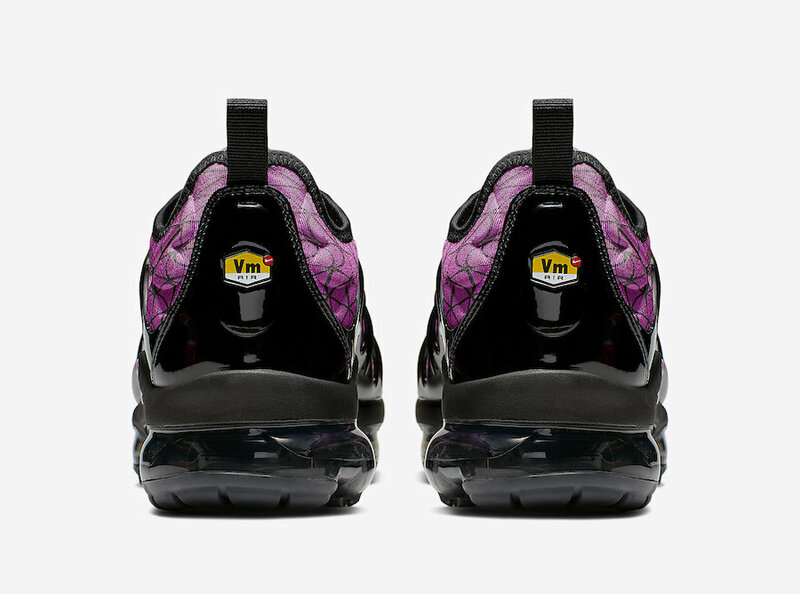 This Air VaporMax Plus features a purple upper, done up with the unique detailing of a geometric grid-like pattern. 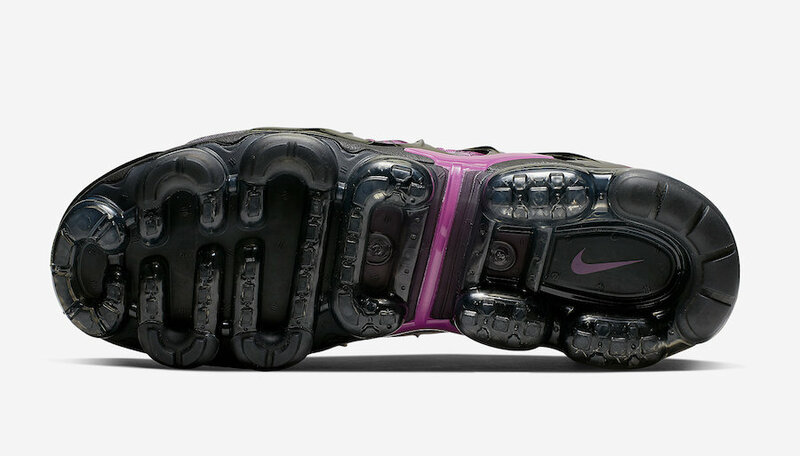 Black color covers the plastic molded cage overlay with matching black branding. 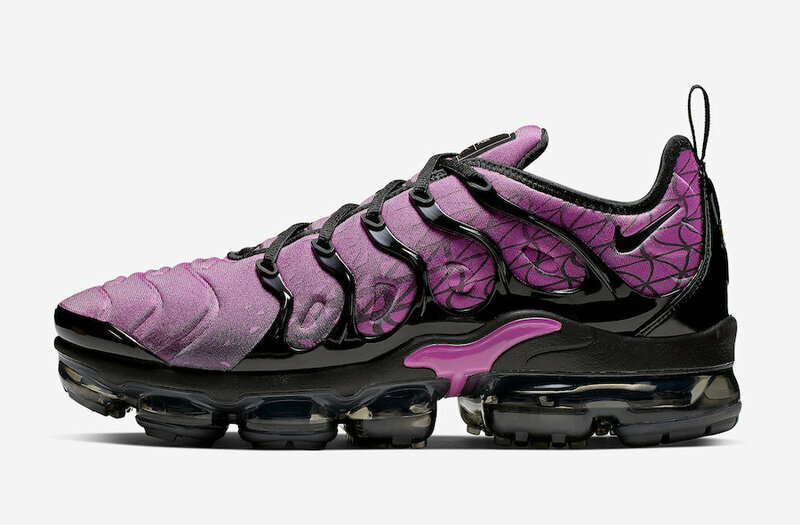 A black midsole with the custom VaporMax sole unit tops-off this design. 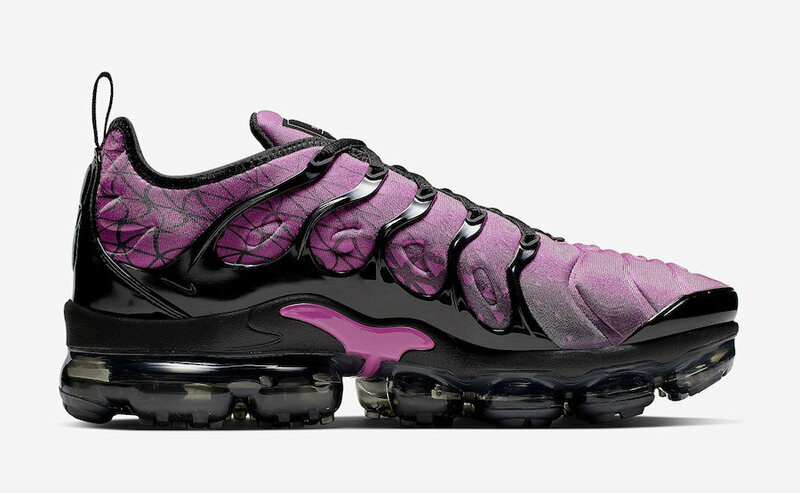 This Nike Air VaporMax Plus ” Active Fuchsia ” is available now on Nike.com. 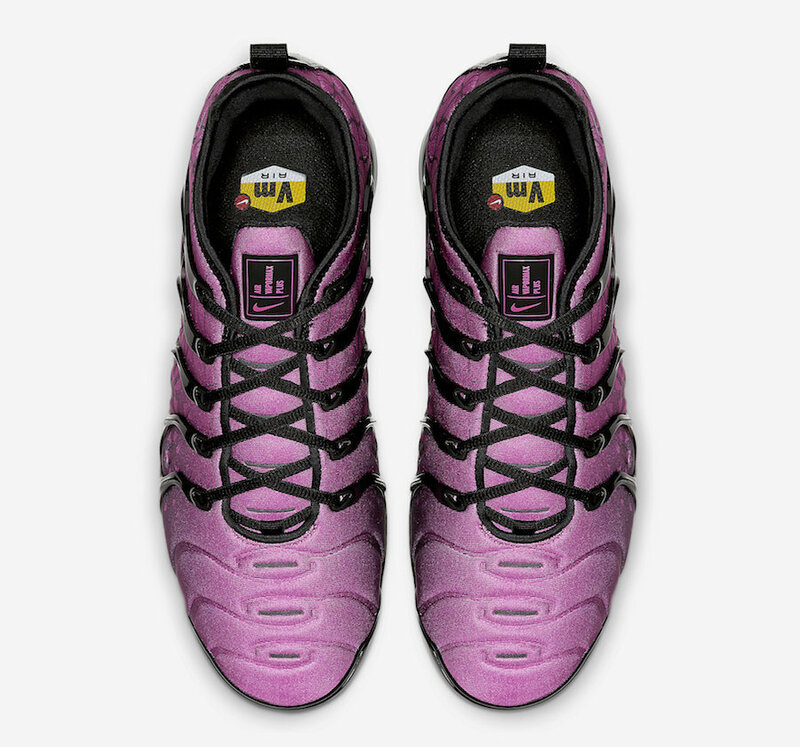 Check out more detailed images below and grab a pair for $190 USD.